Light refreshment will be provided. Do you know about the different types of fat in our diet and what they can do to our body? Come and join us in this topic to understand better. 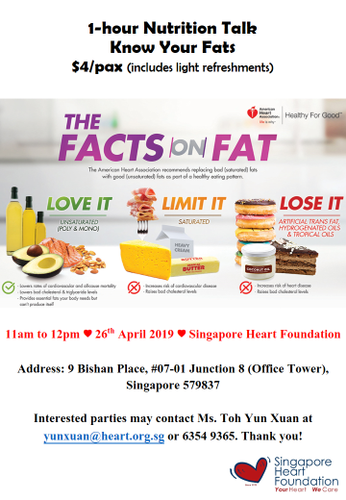 Interested parties, please contact Ms. Toh Yun Xuan at 63549365 or email to yunxuan@heart.org.sg.